Spread More Love: Spread More Love T-Shirts Are Back!!! Spread More Love T-Shirts Are Back!!! 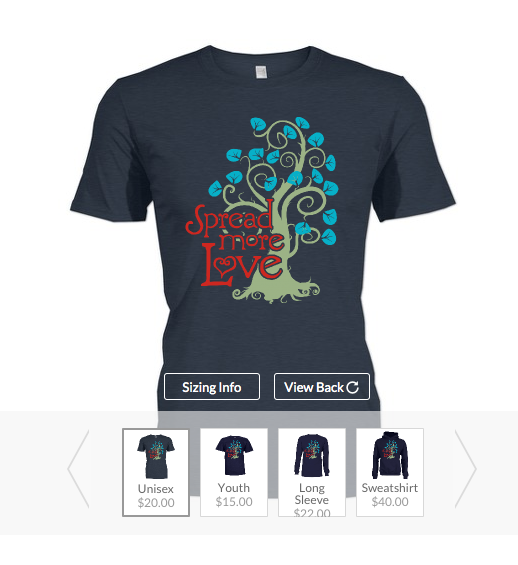 I've had quite a few people ask me they could purchase a Spread More Love t-shirt. I contacted the company and they were able to transfer all of my info and design over to their new format! WOOO HOOOO!!! So, the fund is up and running! All proceeds will help cover her medical bills from Children's Hospital International Adoption Clinic. I need to sell 17 shirts in order for them to print the shirts. You will ONLY be charged if the 17 shirt target is met. Obviously, I'm praying for more than 17 :) Another added bonus is that now they also have the ladies slim fit t-shirt!! If you feel led to purchase one of these t-shirts, we would greatly appreciate it! And I pray that you would feel blessed and a smile cross your face every time you wear it! You can get YOUR Spread More Love t-shirt HERE! Thank you so much for all of your love and support! Follow our adventures on Instagram! "All Images and content are protected under US Copyright law. Copyright 2010-2019 kristengwilliams.com - all rights reserved"